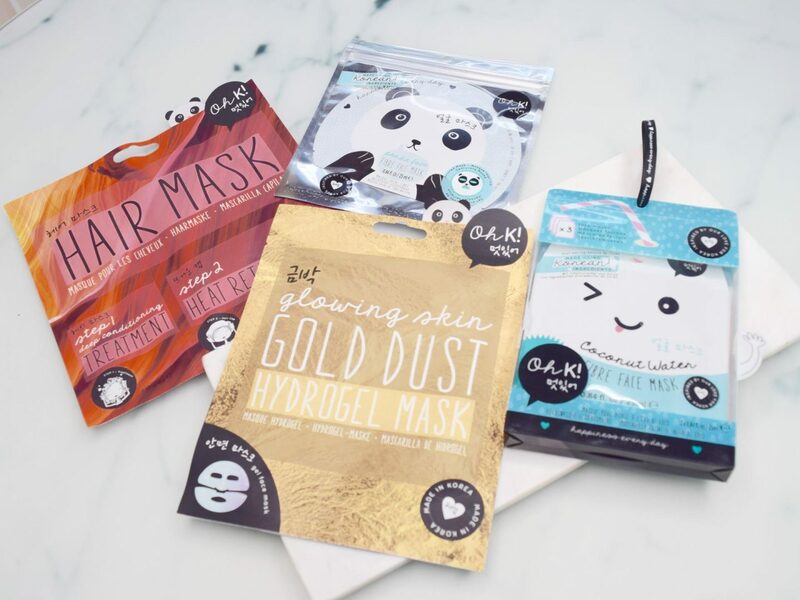 New Korean Beauty Brand Oh K! Korean beauty products have been the main beauty trend of 2016, from cushion foundations, wine bottle lipglosses and sheet masks. It’s so popular as Korean people tend to have amazing skin and take their skincare seriously so if we can use the same products they do and get even some of the benefits, so much the better! Korean products also have super cute packaging and innovative product ideas, so I was really excited to try out Oh K! Which has launched in Asos already and will be available in Boots in 2017. The brand is part of NPW which is a website that sells quirky gifts. Korean products are often hard to get hold of in the UK so it’s great that we will now have Oh K! to fulfil all of our cutesty beauty needs. 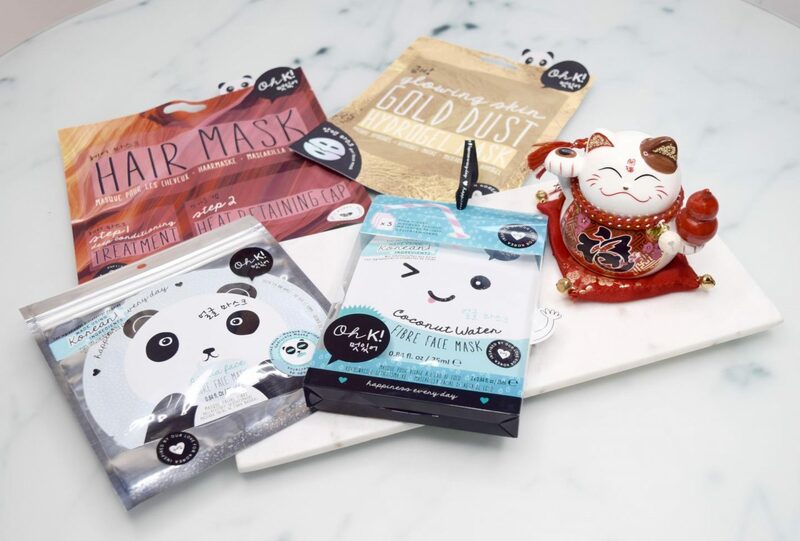 After cleansing, pop one of these sheet masks on your face for 20 minutes and chill. 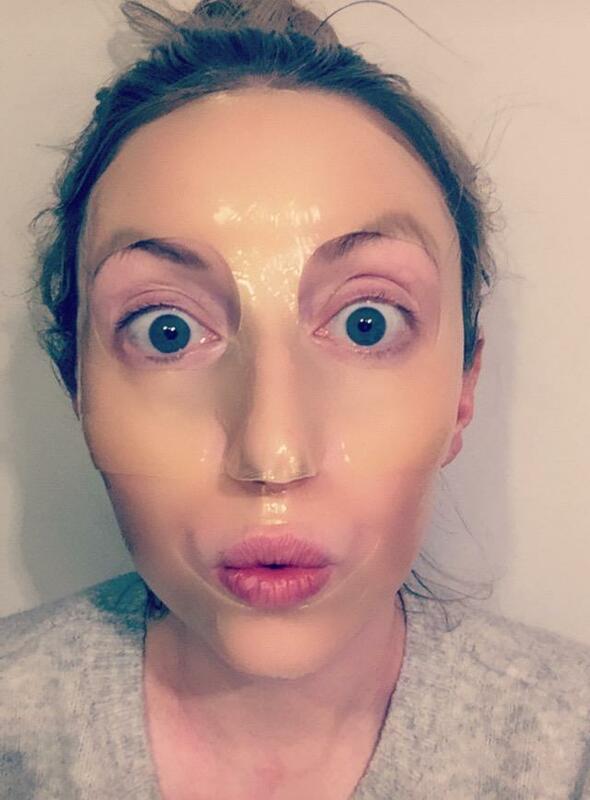 Once you remove the mask you can massage in the leftover product or gently tissue it off. Your skin will go from dry and frazzled to soft and hydrated. These come in a pack of 3 in adorable packages that look like the ghost emoji. These are great for winter or if you have sunburn or have just got off a flight. Plain white sheet mask a bit boring for you? Well Oh K! Also make one that is printed with a panda face! Just don’t put it on and attempt to answer the door to the Ocado delivery person! While I did enjoy the other two masks this is the one that I would repurchase. It’s gel rather than paper so it doesn’t make you feel so claustrophobic and cold and it comes in two parts so it fits your face much better as you can see from the picture above and is far more comfortable. This also gives the most hydrating benefits out of the sheet masks I have tried. Overall I really rate this product. The hair mask sachet is such a good idea because it has the conditioning mask in one side and a plastic cap on the other side. Putting on a plastic cap after any hair treatment really helps to intensify the results so this was a really ingenious idea. This is probably best for people with shoulder length hair or shorter as there isn’t a huge amount of conditioner in the sachet. There’s something cute and kawaii in this range from everyong. There’s hair bobbles, lip balms, hair brushes and more. The prices are affordable and start from £4.00 so it’s definitely inexpensive and will be a great brand to get some stocking fillers and pressies for your mates this Christmas. You can buy Oh K! from ASOS Accessorize or NPW here.